The Waldorf Astoria and Waldorf Towers offer 1,413 luxurious guest rooms and select suites, all individually decorated and designed to ensure a memorable stay. Spacious and richly appointed, each guest room and suite features upscale amenities, services, and furnishings to provide both comfort and convenience. 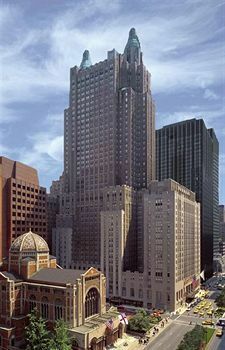 Occupying the upper floors of The Waldorf Astoria, The Waldorf Towers is our boutique hotel, home to celebrities, corporate executives, royalty and every American president since Herbert Hoover. The Waldorf Towers feature a collection of 181 room accommodations, including 123 impressive suites configurable to meet the requirements of every guest. Richly decorated guest rooms, oversized marble bathrooms, and gracious touches such as fine antiques and individual décor create an inviting residential appeal. A discreet separate entrance located at the corner of Park Avenue, on 50th Street, enhances privacy. Your luxury experience includes complimentary Continental breakfast at the Astoria Lounge. All Towers guests enjoy premium amenities and services, including dedicated “Les Clefs D’Or” Concierge and twice-daily maid service with nightly turndown. The art of cuisine is practiced with complexity and panache at The Waldorf Astoria; the hotel provides three unique restaurants, bars, lounges and customized catering for private events and meetings. The hotel’s famed Sunday Brunch is served at Peacock Alley. 24-hour room service matches the needs of the city that never sleeps. The Waldorf Astoria houses 40 individually decorated meeting venues and ballrooms. 60,000 square feet of versatile function space accommodate gatherings ranging from small and private to the most grand and extraordinary. The Grand Ballroom is the only 2 tiered, four story ballroom with a full Broadway stage in New York. The Starlight Roof Ballroom located on the 18th floor features striking views of the City. The multilingual Waldorf Concierge Team provides comprehensive New York expertise, with an intimate understanding of new and trendy “hot spots”, concerts, events and attractions. Waldorf guests are encouraged to contact the Concierge prior and during their stay to inform the staff of any preferences and make the most of their trip to New York City.